At the slightest touch the flower of the Small-flowered agalinis breaks off the plant and falls. 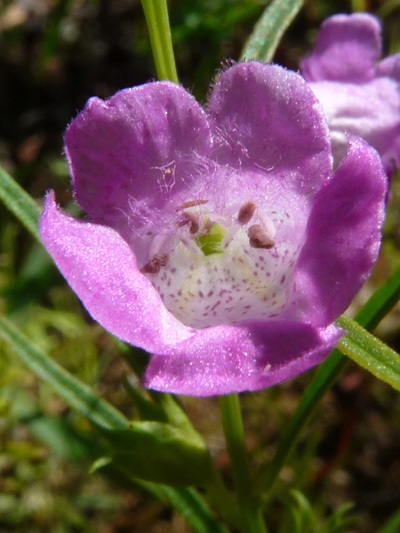 This pretty little flower appears in late summer and persists in fall. Usually herbaceous, the Small-flowered agalinis form's sometime little shrubs.